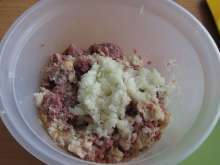 Favorite minced meat roll is delicious when it is combined with sauces. 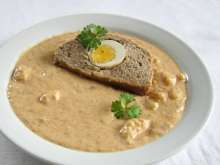 It is also good with bread and sour cucumber or with boiled potatoes. 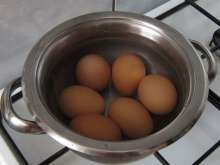 Cook hard boiled eggs, allow them to cool and peel them. 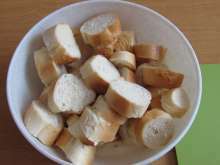 Cut bread rolls into rounds and pour them over with milk. 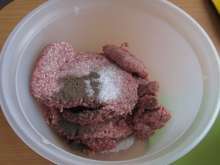 Put in a deep bowl minced pork meat, add salt and ground black pepper. Stir the soaked bread rolls in. Peel and chop onion and pour it to meat. 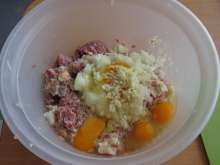 Add eggs and peeled, pressed garlic cloves. 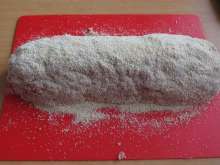 Mix it and use a hand blender to blend it. 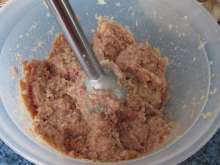 Pour breadcrumbs on a wooden board and spread meat in the oval shape. 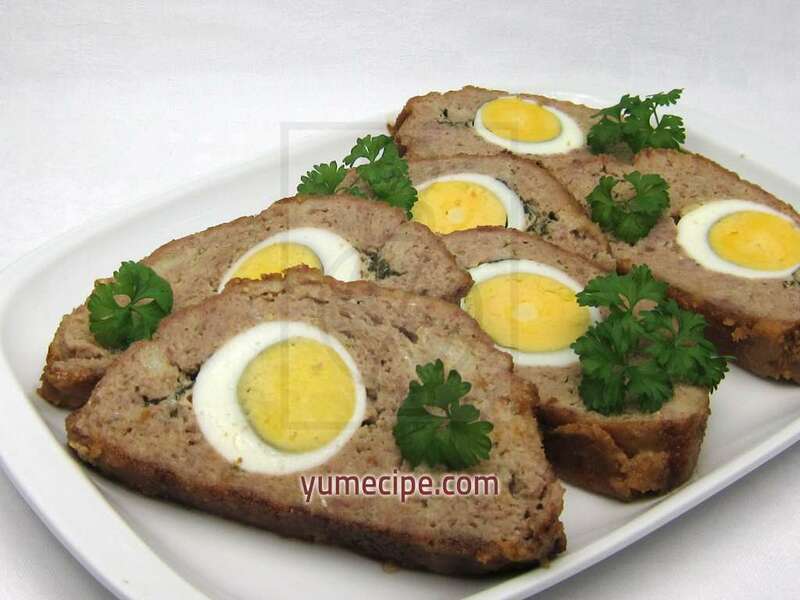 Place eggs in the center. ... and parsley leaves to your taste. 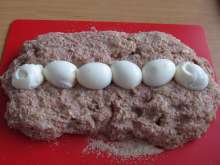 Connect the edges and create a meatloaf. 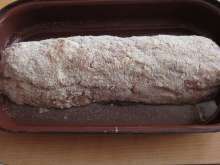 Sprinkle it with breadcrumbs and transfer it from wooden board to a deep baking tin greased with fat. Bake covered 45 minutes at 180°C. Uncover and bake for 15 more minutes.